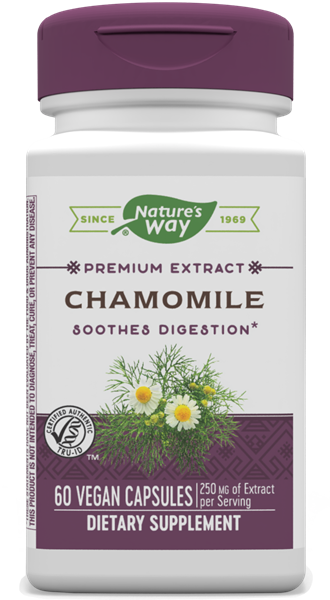 Chamomile / 60 Caps - Nature's Way®. Take 1 capsule as needed, preferably with food. For intensive use, take up to 2 capsules daily.